St. John will be assembling 20+ food baskets for families in need at Springhill Elementary to provide them with a nice Easter dinner. We are asking for donations of money or items needed for the dinner baskets. 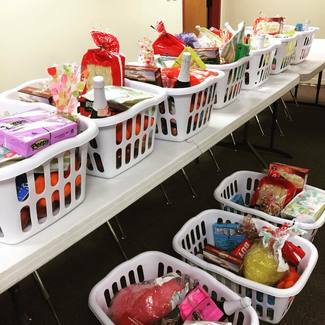 We need these donations by the evening of April 17th when we will assemble the baskets. (Please drop off perishable items the day or evening of the 17th at the church.) If you would like to help shop for last minute items or help deliver the baskets to Springhill, please sign up below. If you have any questions, feel free to contact me at [email protected] Thanks! going to costco tonight - i'll grab four big bags. I'll update specifics depending on what they have.